About the book: Imagine you had been lucky to taste mojito at La Bodeguita del Medio, in La Habana, where Hemingway wrote on the wall: ?My mojito in La Bodeguita, my daiquiri in El Floridita?. Back home, you try to make the famous cocktail. You mix lime with sugar, add some ounces of rum and taste it: bitter. Add some sugar. Taste it again: too sweet. Add crushed ice: too watery. Add some spearmint: a different flavour, but still watery. Add some rum. Taste it again: a sense of strange and pleasant feeling of drunkenness is emerging. The process is becoming captivating and exhilarating. A Bulgarian verb is build up in a similar way. You take a root, let?s say PIIA ?drink?, and add a prefix na-. The new verb napiia means get drunk. Add a different prefix, iz-, to the root and you get a verb meaning drain the cup. Add two prefixes, po- and raz-, and the result is begin to drink a little. Insert a suffix -n- into the root and the original drink becomes drink once / drink a bit. Want to create a sense of ?if moderate anything is good?? Add a prefix po- and a suffix - va - to the root and the original verb becomes popiivam ?drink moderately" (that?s how I see it). You place a Bulgarian verb in Aktionsart and all you get is: drink ? Activity verb. Pure and simple. And flavourless. Whether to drink sophisticated cocktails or stay with ?Yo ho ho and a bottle of rum? is a matter of preference. The same with words. 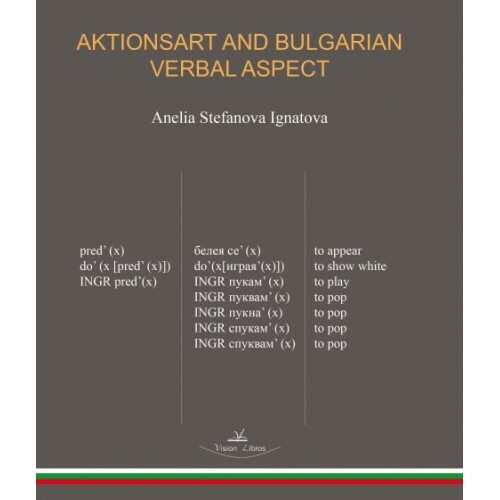 About the author: Anelia Stefanova Ignatova, PhD, is an Associate Professor in the Department of Linguistics Applied to Science and Technology, at the Polytechnic University of Madrid, Spain.